Dan Murray Gearing Up for a Big Q1 and Beyond | Tableau Your Data! Last year was huge for “Tableau Your Data!” author, Dan Murray. With the book picking up steam across the world, he spent a good chunk of his time on the road for several book tour stops across the US and Europe. Oh, and let’s not forget that he presented at the Tableau Conference and was named into the latest class of Tableau Zen Masters. Add in all the other conferences and data viz competitions in which he was a judge or presenter, and 2014 was easily one of his biggest years in data. 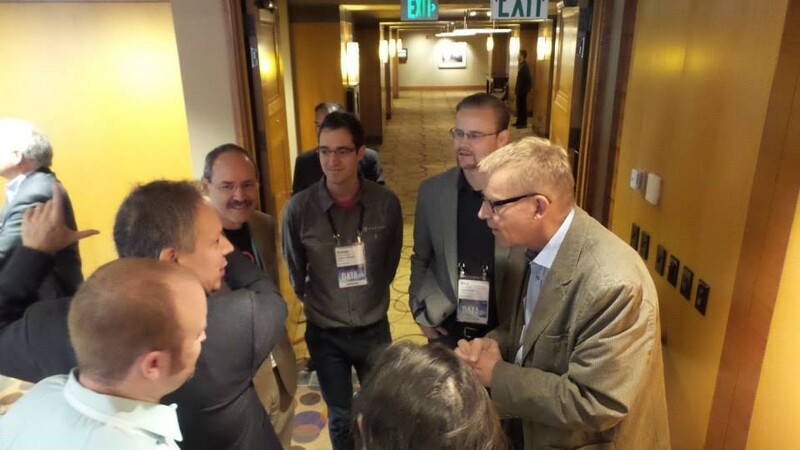 Above: Dan and other Tableau Masters talk with Hans Rosling at the 2014 Tableau Conference. That’s all well and good, but 2015 is shaping up to be an even bigger year. Dan’s schedule is already jam-packed with several different events across the US. He’ll be speaking or presenting in some form or another at each event. That’s just the start. Dan will be squeezing even more events in the coming months, and you can expect the rest of his 2015 event schedule to look a lot like this. Check the blog often for more details and updates concerning specific events and more!